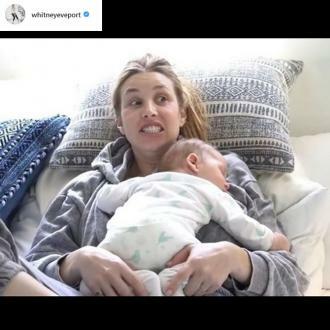 Whitney Port gets ''anxiety'' taking her baby son out, because she ''freaks out'' when he becomes ''hysterical'' in the car and she if always nervous she hasn't packed a vital item he may need. 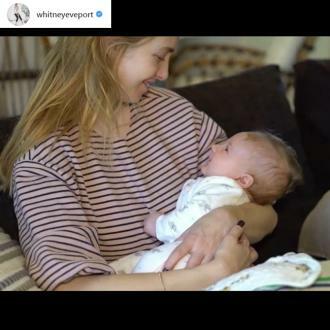 Whitney Port gets ''anxiety'' taking her baby son out of the house. The 32-year-old television personality gave birth to her first child Sonny in July this year, and the blonde-haired beauty has admitted she ''freaks out'' when she is driving and her two-month-old son is suddenly ''hysterical'', and she ''never'' wants to go on an outing with her brood because she has too many worries.. 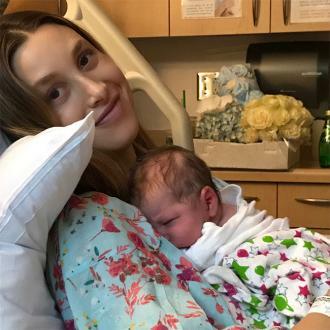 Speaking openly in a lengthy post shared on her Instagram account, the 'The City' alumni said: ''All you moms have been there...You're driving on the freeway with your brand new baby in the back and all of a sudden they're hysterical. You don't know what to do, you can't pull over, you think they're choking, you're freaking out! Well, hopefully you've all been there, cause that was me a couple weeks ago and it scarred me and I need some help! And Whitney has revealed she has to force herself to take Sonny - who she has with her husband Tim Rosenman - out. Although Whitney has picked up a ''few tricks'' on how to cope in public with her child, she is still trying to overcome the ''new hurdle''.